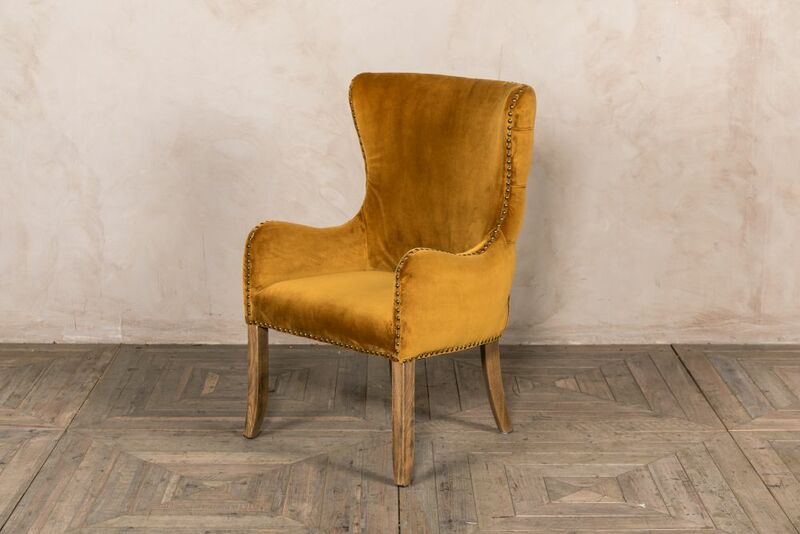 Add a ‘Chamonix’ velvet carver chair to your interior for instant elegance and a pop of colour. 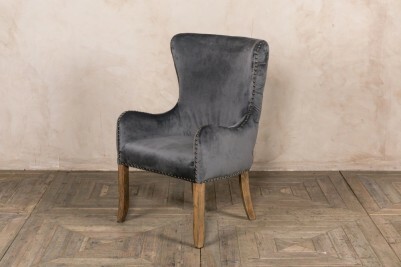 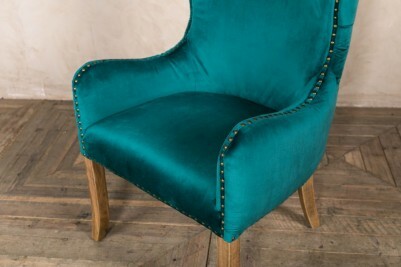 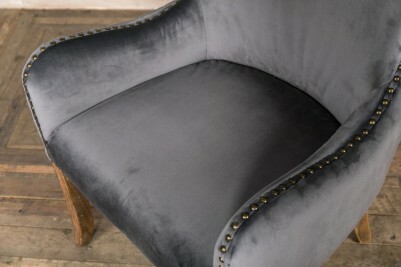 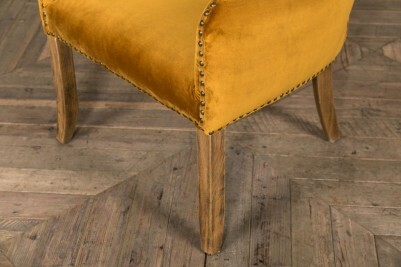 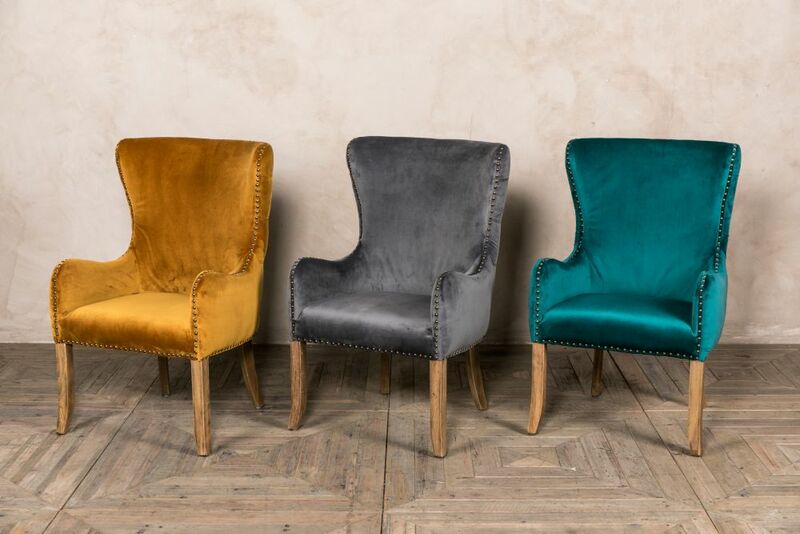 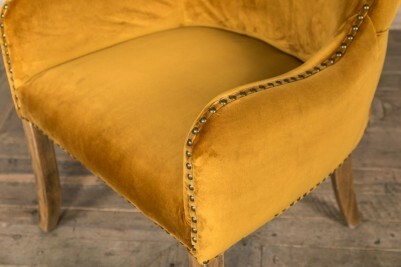 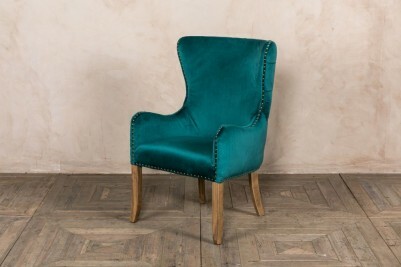 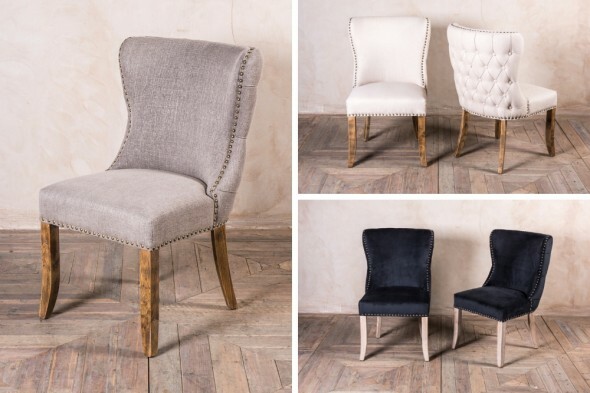 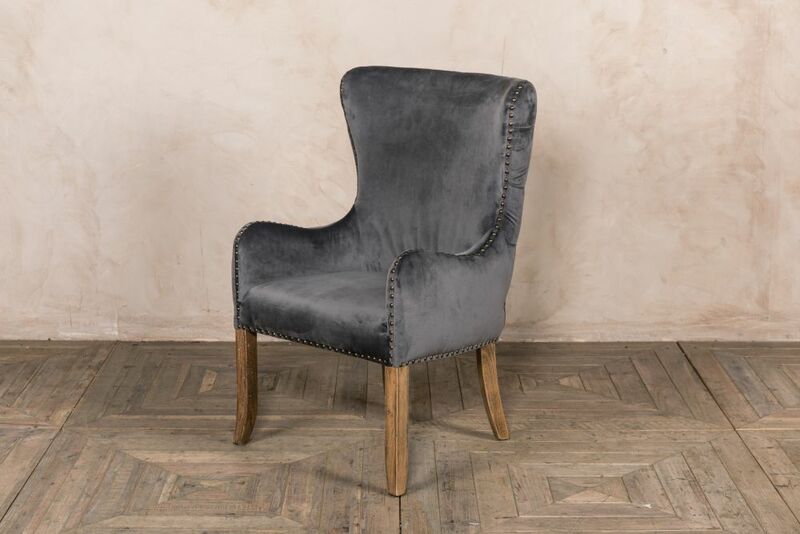 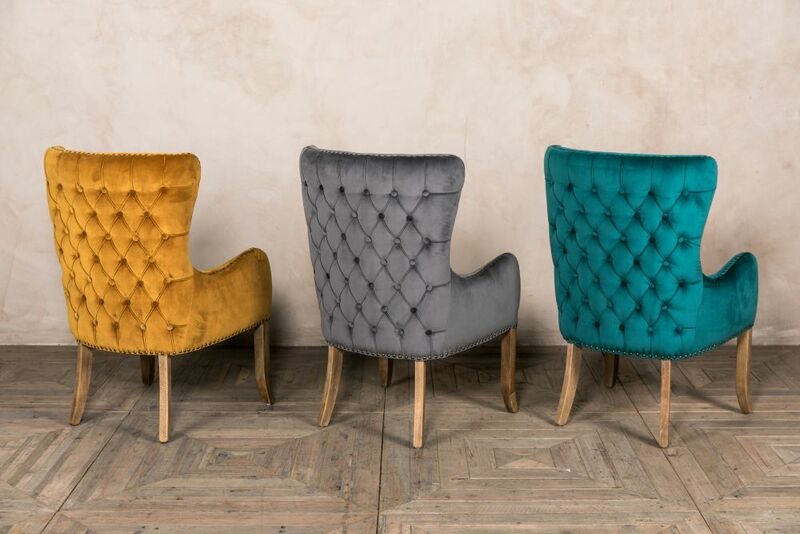 The velvet carver chair is a new addition to our popular ‘Chamonix’ range. 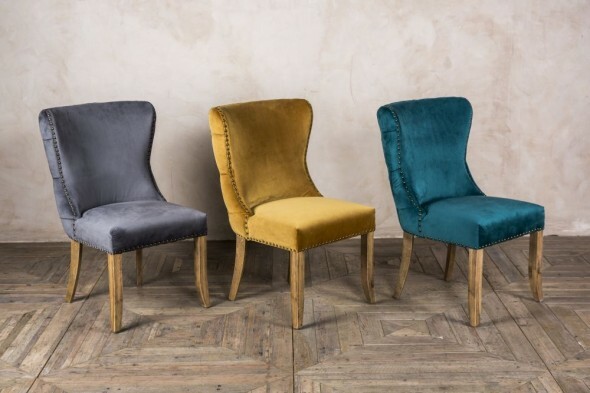 It is available in three stunning colours: mustard, teal, and grey. 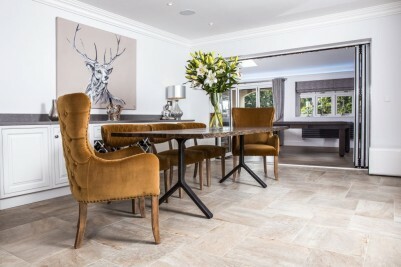 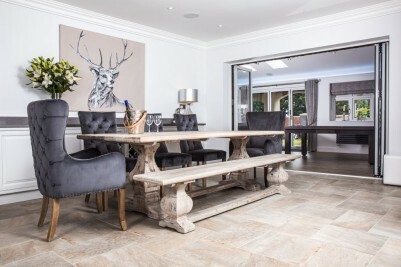 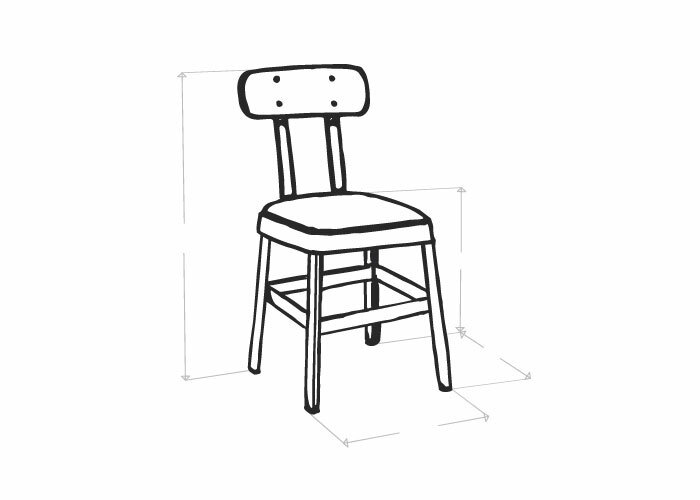 The chairs have oak legs that help them tie in with existing furniture. 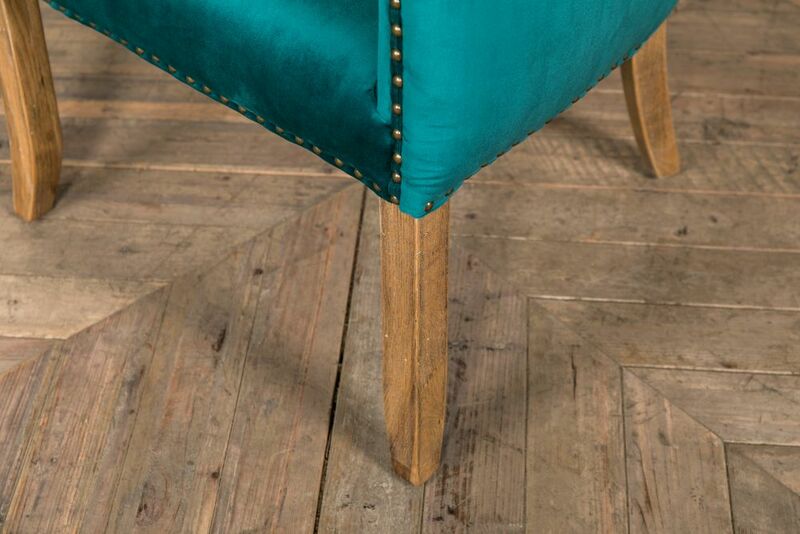 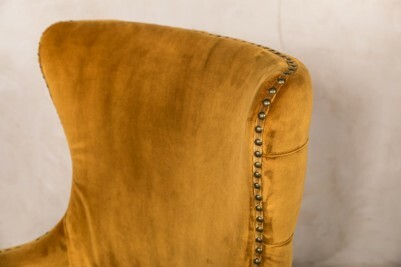 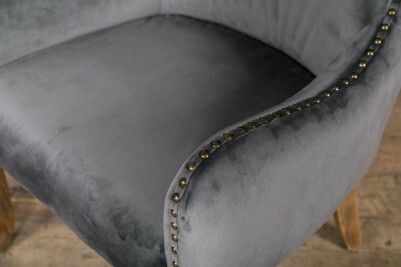 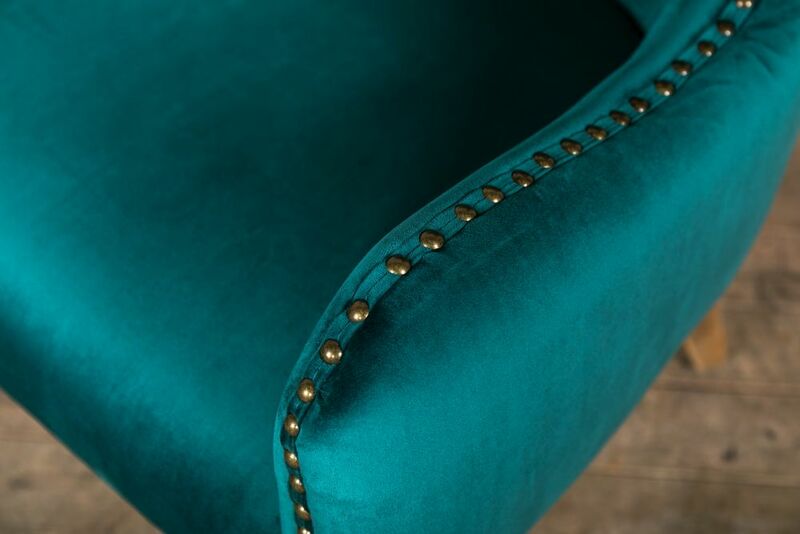 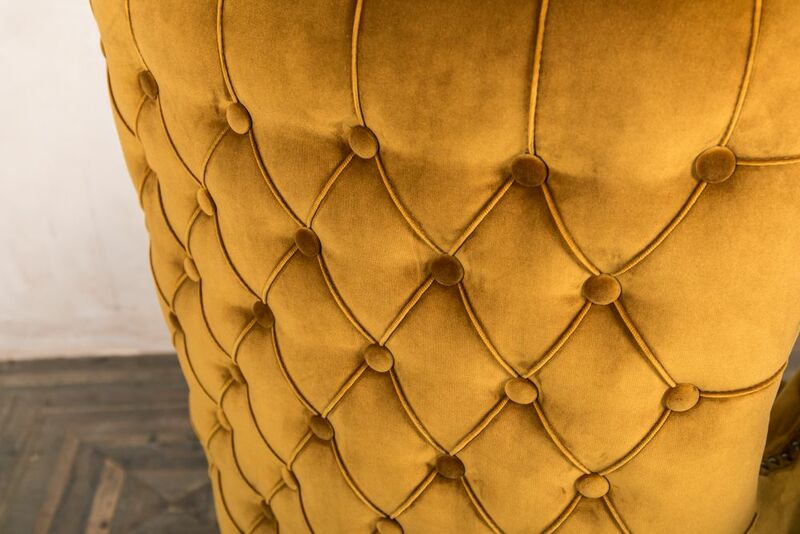 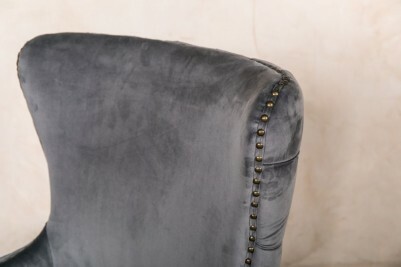 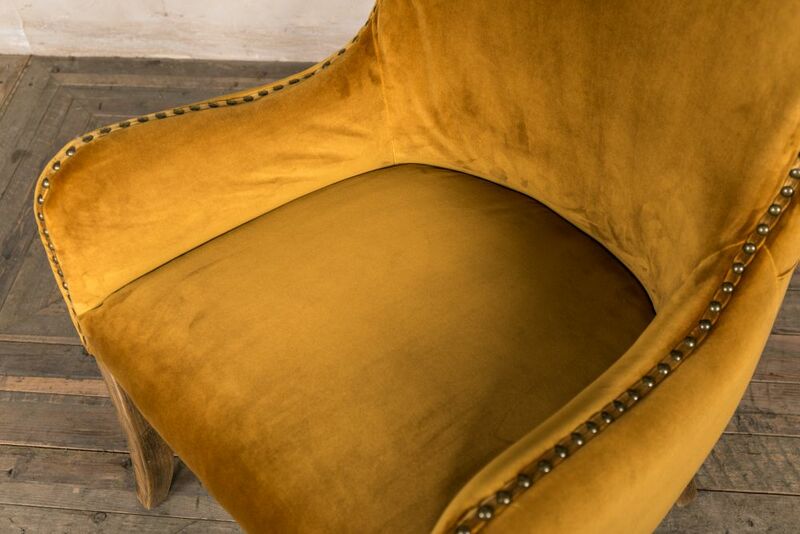 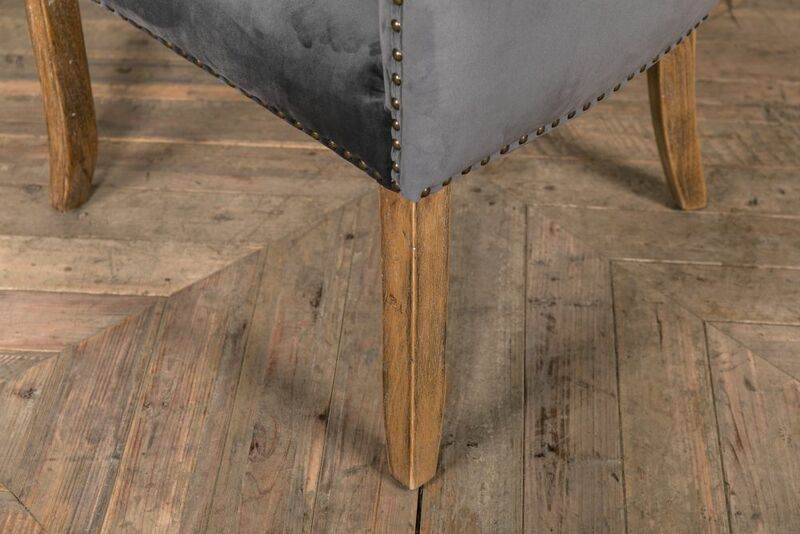 They are upholstered in super soft velvet and have brass stud detailing around the edges, but the showstopping feature of this chair is the pressed button back. 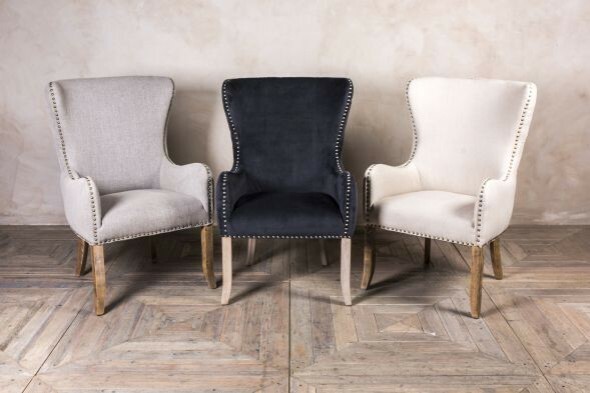 The French inspired back gives the chairs a luxurious appearance; they would look fantastic at the head of a dining table, at a dressing table, or even as a feature chair. 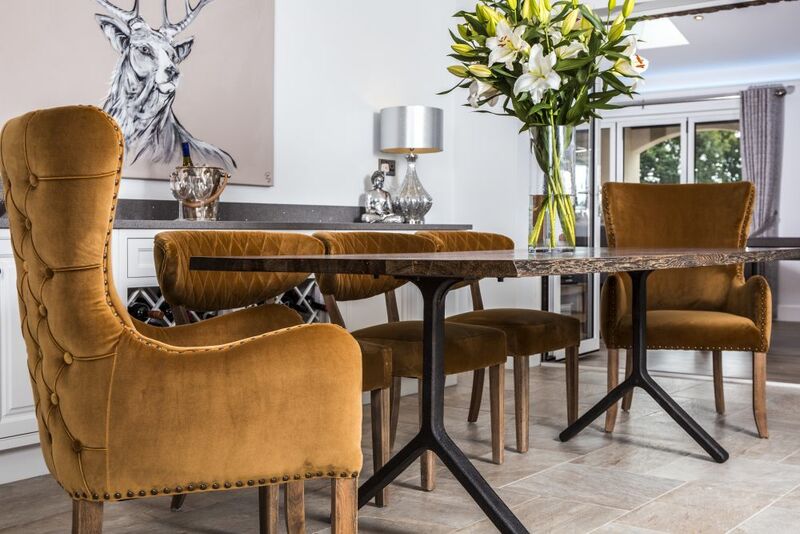 The chairs would also suit a trendy bar, or boutique salon or hotel. Matching ‘Chamonix’ side chairs are coming soon.